Jimmy Volmink is Professor of Epidemiology and Dean of the Faculty of Medicine and Health Sciences at Stellenbosch University, South Africa. He was the Founding Director of Cochrane South Africa. His main academic interests are evaluating the effects of health care interventions, promoting evidence-based decision making, addressing health inequalities, and supporting research capacity development. 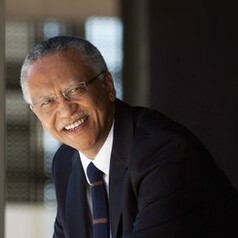 He is an elected member of the Academy of Science of South Africa and an elected Fellow of the Royal College of Physicians of Edinburgh.